The season of Lent marks the 40 days that Jesus Christ spent in the desert, and the privations he suffered. We aspire to giving up something like sugary drinks, chocolate or lollies to use the money saved to donate to others who live with daily deprivation. 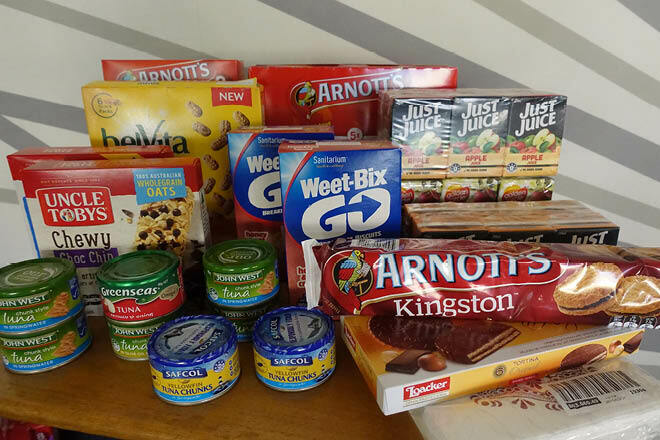 This year we are supporting projects in our community by collecting food items for Mary’s Kitchen at St Andrew’s Uniting Church, and St Peter’s Pantry Project at St Peter’s Glenelg Anglican Church. These outreach programmes provide food aid to “rough sleepers” in the Glenelg/Brighton area: People who have no home and/or are in need. The SPW community is generous, as is our God, witnessed by the growing collection of food items in the Chapel. Warm thanks to all who donated and for those of you still wishing to donate, there is still time. The Collection ends on Tuesday 9th April in week 11 when representatives from Mary’s Kitchen and St Peter’s Pantry will attend Assembly. You can find out the details of what to donate on Skool Bag. Thank you Rev’d Julia for sharing this story.